The clients purchased a Queenslander in the Brisbane suburb of Graceville with a view to renovating and reconfiguring the property. We were engaged to facilitate this process. Through a series of meetings with the client we were able to derive new floor plans for the lower and upper floors, combining some small rooms downstairs to make more useful spaces and reassigning the functions of rooms upstairs to better suit the client’s needs. The client was keen for the interior to be simple and elegant to suit the graceful old house and this was achieved using a restrained palette of materials with simple and consistent detailing. The Bardon House has been a work in progress over many years. Stage one involved building a new floor underneath, with two extensions in stage two - a kitchen and a master bedroom suite. The kitchen has floor to ceiling timber louvered and sliding windows, which gives the resident a feeling of living in the tree tops. The master bedroom suite includes a bathroom and dressing room with tailored storage. The house is a fine example of Art Deco and the Art Deco elements have been echoed in the new design through careful detailing of joinery, doors and windows. 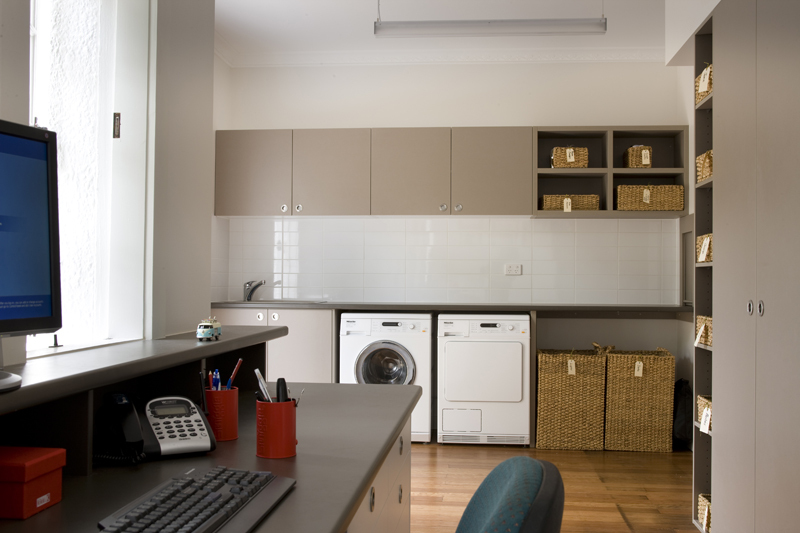 As many of our projects, this Indooroopilly house has been in our office for several years. Work has evolved as a result of a sensible master plan. 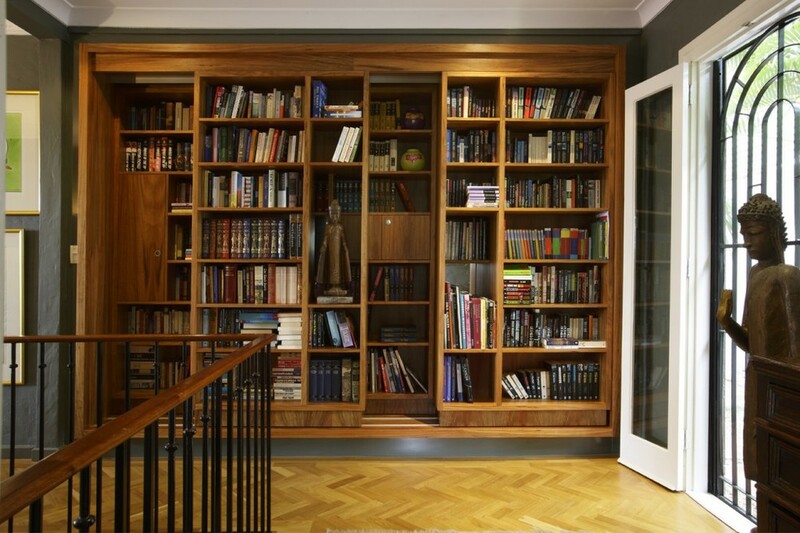 The latest project consisted of renovating the two bathrooms and constructing a library area for the clients’ extensive book collection. As the clients were collectors of fine art and sculpture, it was important that our solution was creative. 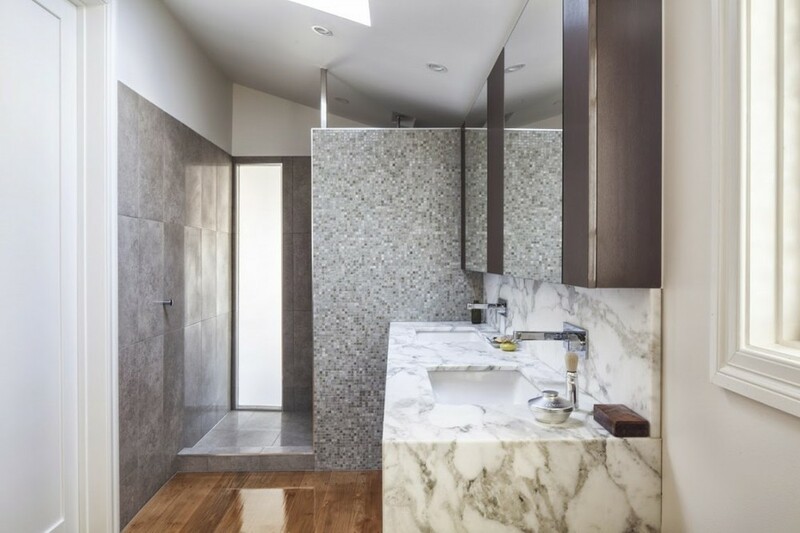 The bathrooms are a collage of materials such as marbles, ceramics, glass and stone, whilst the library is an ingenious double shelved unit that slides along a track to reveal the second layer, and houses cupboards and niches for art work display. As with all of our projects, solutions are tailored specifically to the client. 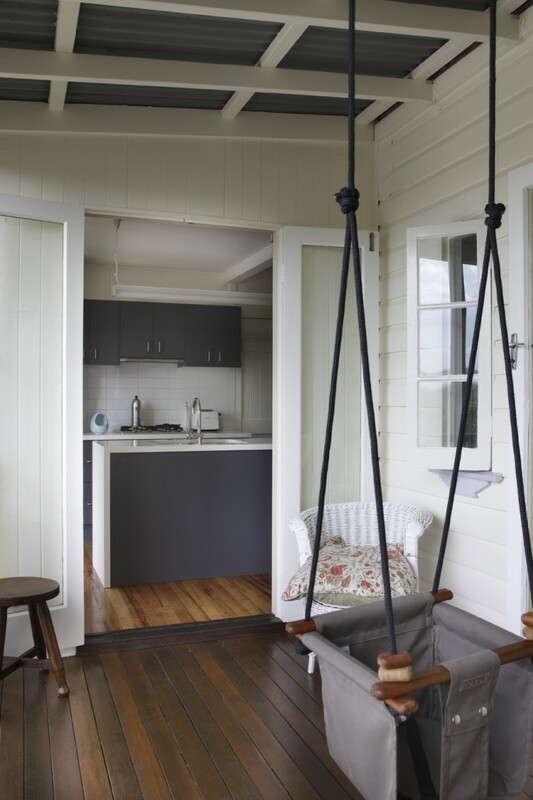 The usual method of expanding these old high set Queensland cottages is to build in under, but this approach can be limiting. For this Taringa house we built a wing out to the side which comprised 3 bedrooms, a bathroom and a living room. We decided on a conservative approach to the exterior form to avoid a lengthy town planning process. There is nothing conservative about the interior however, where we have managed to gain the maximum space for this family of seven, whilst maintaining and restoring the original part of the house.